Buddy Club Seats - P1 Edition UNIVERSAL - Pann Auto Performance - San Diego largest aftermarket automotive performance parts - What do you drive? The Buddy Club P1Edition Seat has quality, safety and leading ergonomics built in. 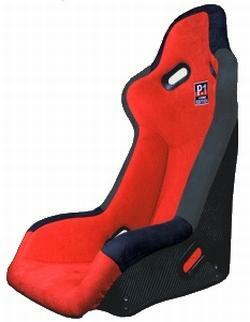 The experience and knowledge gained through the development of professional motorsport has been used to create this high performance seat for road use. The Buddy Club P1Edition Seat offers excellent lateral support , firm comfortable hard wearing twill fabric with exceptional safety.